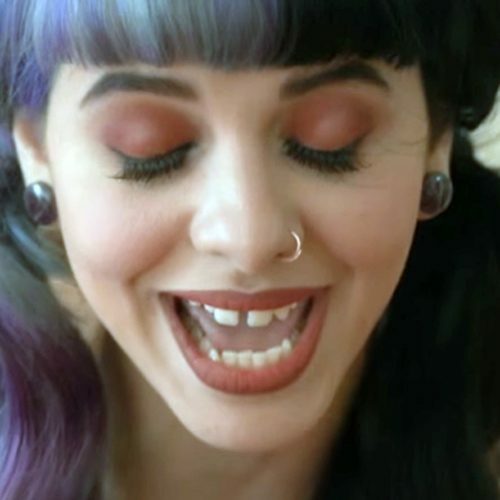 Melanie Martinez wears blue and gray eyeshadow, black eyeliner and brown lipstick in the music video “Pacify Her”. Melanie Martinez wears brown eyeshadow, black eyeliner and brown lipstick in the video “Tag, You’re It/Milk and Cookies Double Feature”. Melanie Martinez purple eyes and eyebrown in “Cry Baby (Behind The Scenes)” video. 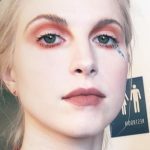 Melanie Martinez wears brown eyeshadow with black eyeliner and brown lipstick in “Pity Party” music video. 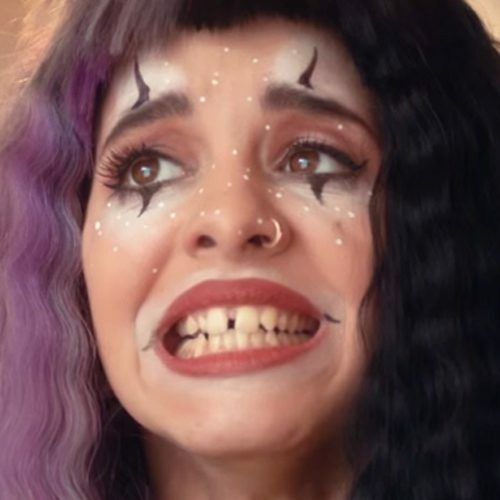 Melanie Martinez wears an extravagant makeup in “Pity Party” music video. Melanie Martinez makeup matches her hair color in the music video “Soap/Training Wheels Double Feature”. 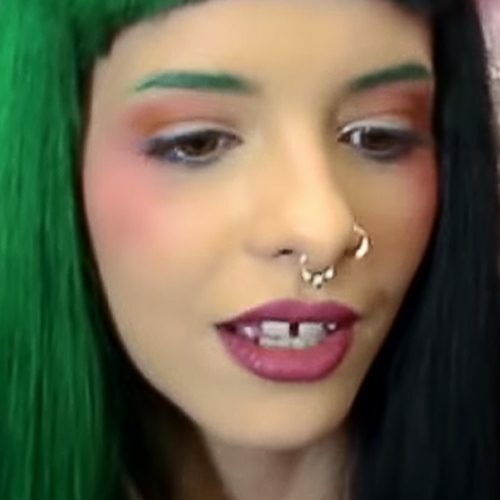 Melanie Martinez has purple eyes and eyebrows and red-brown lipstick on the video “Sippy Cup”. 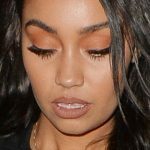 Melanie Martinez wears silver, gray and purple eyeshadow paired with matte brown lipstick in “Cry Baby” music video.